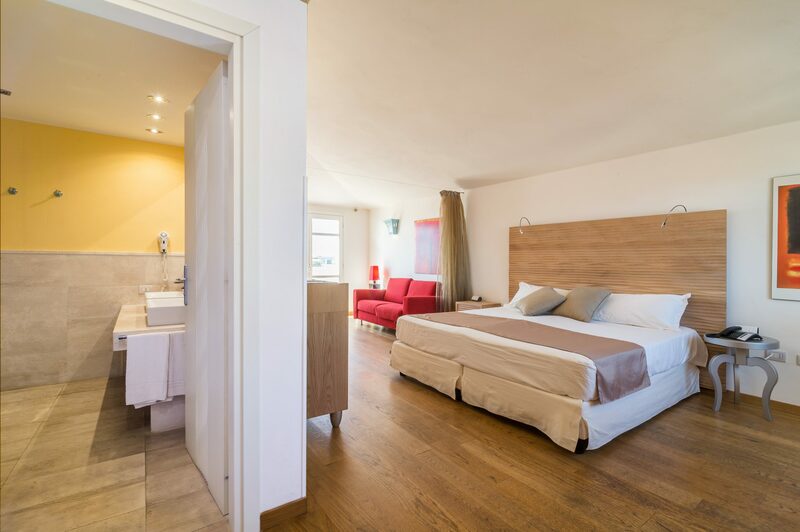 Located in the only town on the San Pietro island, Nichotel opens its door to its guests and welcomes them to a relaxing and full-of-comforts vacation. Dive into the magical atmosphere of the island and enjoy the beauties of its untouched nature, its beaches and crystal-clear sea! Our hotel is located a few steps from the harbor, in one of the main streets of the downtown area. Our young and dynamic staff welcomes the hotel’s guests, and is always available to meet their requests. You don’t have to worry about anything, because we will take care of everything for you! Your mission is to relax, ours is to make that happen. Nichotel has 17 rooms. They come in a variety of designs and comforts in order to meet all needs. From small balconies and large terraces, Nichotel’s guests can take a glimpse of the promenade framed in the colors and sounds that will wake them up with a smile on their face. Be it on a quiet and fresh spring morning, on a bubbly summer day, or at sunset, heading towards the evening’s warmer tones. 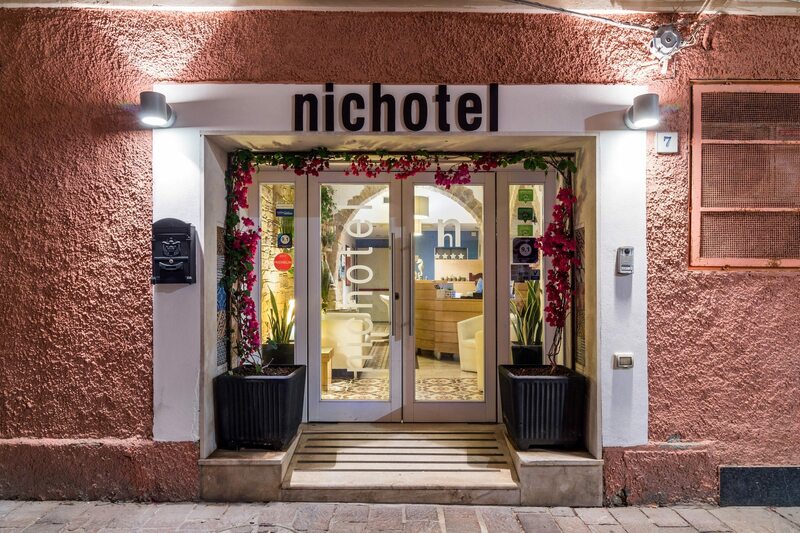 Nichotel was founded in 2007 by renovating an ancient palace, and especially thanks to the insatiable desire for improvement of Nicolo, the patriarch of the Pomata family. A visionary and successful entrepreneur in the catering industry, Nicolo took on the challenge of working in the hospitality business and entrusted the hotel’s management to his professional and always smiling daughter Maddalena.